Samsung was among the first to discover the demand for very large smartphones and quickly addressed that market with its Galaxy Note lineup. The smartphone Notes combine a large display (greater than 5-inches) with an active digitizer (S Pen). 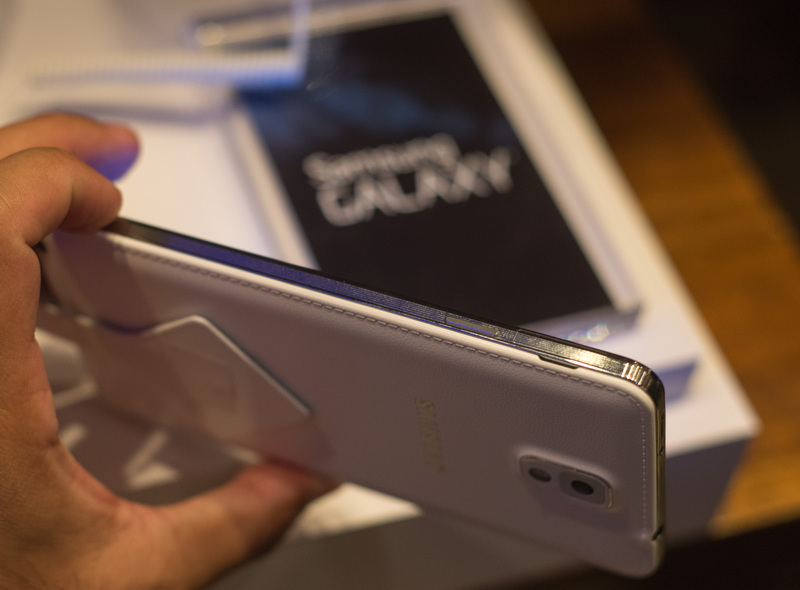 Last year Samsung expanded the Note family to include 8 and 10-inch tablets as well as smartphones. Blurring lines even further are the cellular variants of Galaxy Note tablets, some of which can function as full fledged smartphones in that they can make and receive phonecalls. Earlier today Samsung announced the third generation of its successful Galaxy Note smartphone device, the aptly named Galaxy Note 3. The Note 3 continues Samsung's recent habit of making its devices thinner and lighter while increasing screen size. The Note 3 increases its screen size by 0.18" diagonally compared to the Note 2 (the 5.7-inch display actually measures 144.3mm or 5.68"). Despite the larger display, nearly all dimensions of the Note 3 shrink compared to its predecessor. The Note 3 is slightly taller (+0.1mm) but is less than a millimeter narrower and nearly a full millimeter thinner. The Note 3 also drops in weight by 12 grams. The result is an even bigger display in a smaller, more usable device. The combination of the two definitely help make the Note 3 feel less of a slippery mess, but those hoping for a truly premium feel will probably continue to be disappointed. The Galaxy Note 3 will be available in classic white, jet black and blush pink at launch. The back cover is removable, hiding a slightly larger 12.16Wh (3.8V) removable battery. 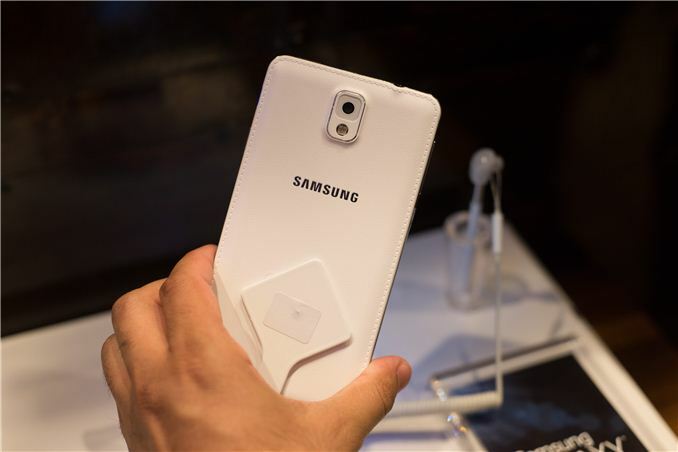 Samsung offers other back covers in 9 other colors if you want some additional personalization. Internally the Galaxy Note 3 becomes a far more modern platform. LTE versions of the Galaxy Note 3 will feature a 2.3GHz Qualcomm Snapdragon 800 SoC, while 3G versions will use Samsung's updated Exynos 5 Octa (5420). The Exynos 5420 features four ARM Cortex A15s running at up to 1.9GHz and four Cortex A7s running at up to 1.3GHz. The updated design should hopefully feature a fully cache coherent interface between both processor islands, something that wasn't functional in the first Exynos 5 Octa SoC. The rear facing camera gets a bump up to 13MP, while the front facing sensor moves to 2MP. 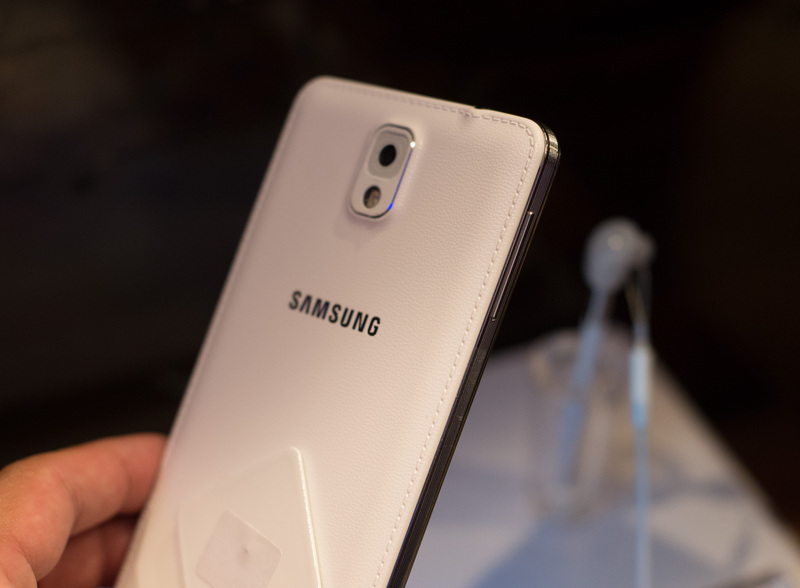 Samsung is likely using the same sensors it uses in the Galaxy S 4 in the new Note 3. The on-board memory also sees an increase to 3GB. Finally, like the Galaxy S 4, the Galaxy Note 3 adds 802.11ac support. 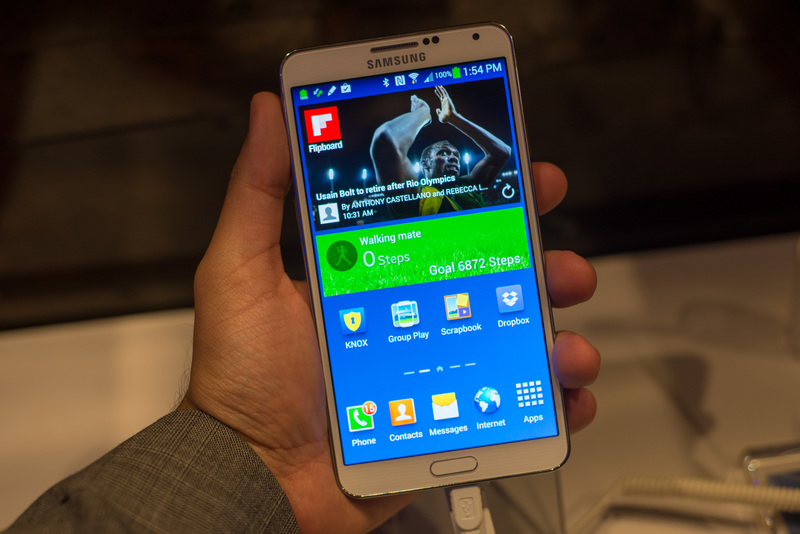 Other traditional Touchwiz features see enhancements with the Note 3 as well. Samsung has supported multi-window applications for a while now, but with the Note 3 you can now actually open multiple windows of the same application (e.g. two browser windows displaying different things). Samsung also added a new group play mode that lets you wirelessly connect up to five devices and play video across all of the devices acting as a single large display. The Galaxy Note 3 ships with Android 4.3 and KNOX. Devices will be available starting on September 25th in 140 countries around the world. Availability on US carriers (AT&T, Sprint, T-Mobile, Verizon & US Cellular) will come later this year. Im also very interested in this. I will be disappointed if it isnt. What ever anyone says, it does make a difference, maybe just not in the way most people would think. There is still come sort of a grain to the color of the non RGB screens. Comparing GS1, GS2, GS3, GS4, note 2. The Note3 is meant to be the top spec Samsung device this year, for it to be a stretched pentile SGS4 screen doesnt seem right. Do you have a link? I really want to confirm this.